Using characters and situations from the popular animated series, Yu-Gi-Oh! 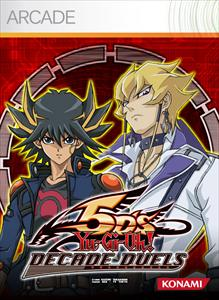 5D’s Decade Duels will bring TRADING CARD GAME’s fast-dueling and ultra-competitive experience to Xbox 360-owning fans. The new game retains the dueling elements that have established Yu-Gi-Oh! as the world’s most popular trading card game, and is part of Konami’s plans to bring the franchise to online-capable formats to continue to offer its rich sense of competition and tactical play. Red Dragon Archfiend: Defeat Jack.Stardust Dragon: Defeat Yusei. Become a Duelist (10 points): Play a single player game. First to become a true Duelist (10 points): Win a Preliminary Tournament. King of the Turbo Duel (10 points): Defeat Jack. You have talent! (10 points): Save an original Deck Recipe. Create a friend! (10 points): Play a Tag Duel. You became a tag Duelist! (10 points): Win a Tag Duel for the first time. Becoming a special Duelist (10 points): Win and get a Rare Card. Violent Duelist (20 points): Inflict at least 1 million total damage. Lonely Duelist (30 points): 100 wins in Single Mode. Friendly Duelist (30 points): 100 wins in Tag Duel. Ultimate Duelist (40 points): 200 wins in any mode. There is no stats tracking system in this game. You can not check how many wins you have or how close you are to 1,000,000 damage. You may find it helpful to create a written record instead. The online is doable without boosting but it will take you around 100 hours without any guarantees. If someone quits out online, you are not granted a win. The best way to win good cards is to force the AI into running out of cards, however this takes quite a lot of time to build the deck that can easily do this. To get good cards, just play as normal. You will get some decent cards when you defeat an opponent. You are even given cards when you lose. You are given cards based on the amount of points you accumlate. You do not need an amazing deck to beat the game. Some cards can be won but can not be used in game. These are called ‘forbidden cards’. 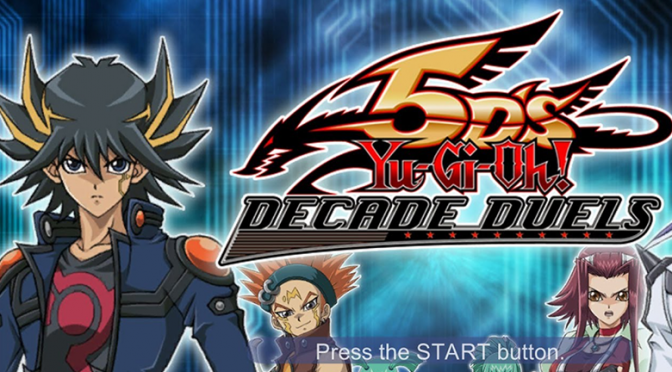 The game was republised under a new name but the old cards are not allowed in Yu-Gi-Oh anymore for various reasons.